Tuberculosis (TB) Control 1944 – because of WWII there was a shortage of X-ray film to test people for TB. Known cases of TB were followed and 144 home visits were made for this purpose. With the cooperation of the Christmas Seal Funds X-rays were available later in the year and many patients and people they were in contact with were rechecked. Teachers in all Minot schools were trained to conduct health inspections to screen children showing signs of deviating from normal. If needed public health nurses were called in and in some cases examinations by the district health officer was needed. Children who were absent from school because of communicable diseases were required to have a permit to return to school. The permits were issued by the family physician or the health unit …. 869 school permits were issued in 1944. 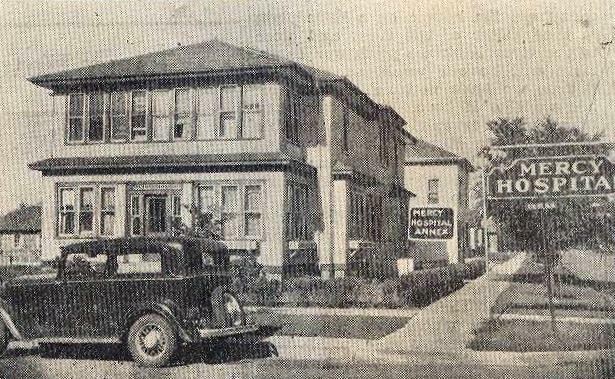 In 1935 Minot’s Mercy Hospital was located at 505 9th Avenue NW. 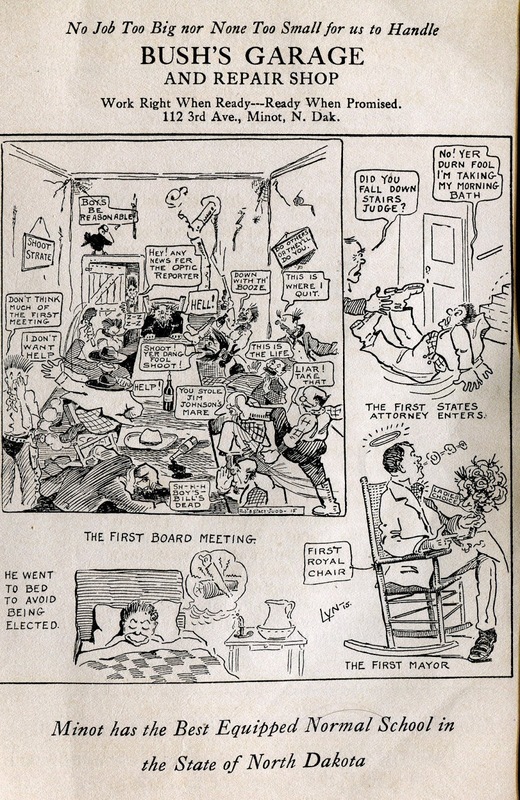 The phone number was 114 and the resident surgeon was Dr. E. C. Stone. The first appendectomy performed was in a sod house in 1905. Mercy Hospital was regarded as a modern hospital that offered facilities equal to the best in the land. The patients received necessary care from doctor and registered nurses at a minimum expense. From June 1, 1934 to Jun 1, 1935, 697 surgical operations were performed at Minot’s Mercy Hospital. In addition to that, 536 medical cases were done during the same period. The total number of patients cared for was 1233. Prior to moving to the location on 9th St. NW. Mercy Hospital was located on Main Street in Downtown Minot. 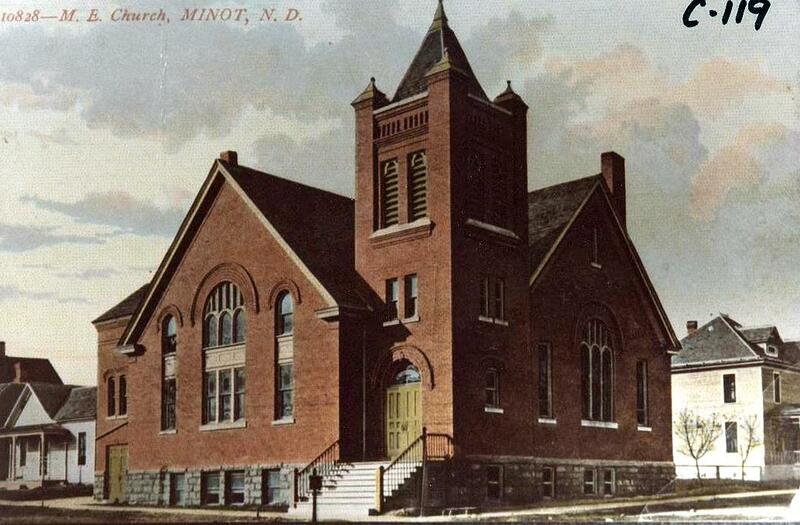 In the early part of the 1900’s Minot was home to the Minot Boxing Club. One of the main boxing attractions in 1905-1906 was Mark Nelson. He fought professionally in the lightweight and a welterweight classes. 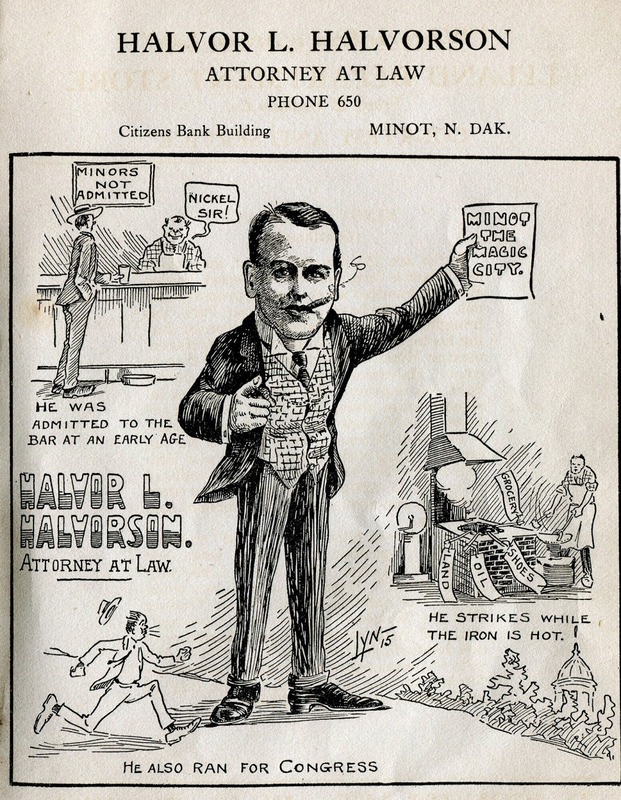 In August of 1908, Minot banned professional boxing. Nelson claimed to have lost only 6 of 206 fights. 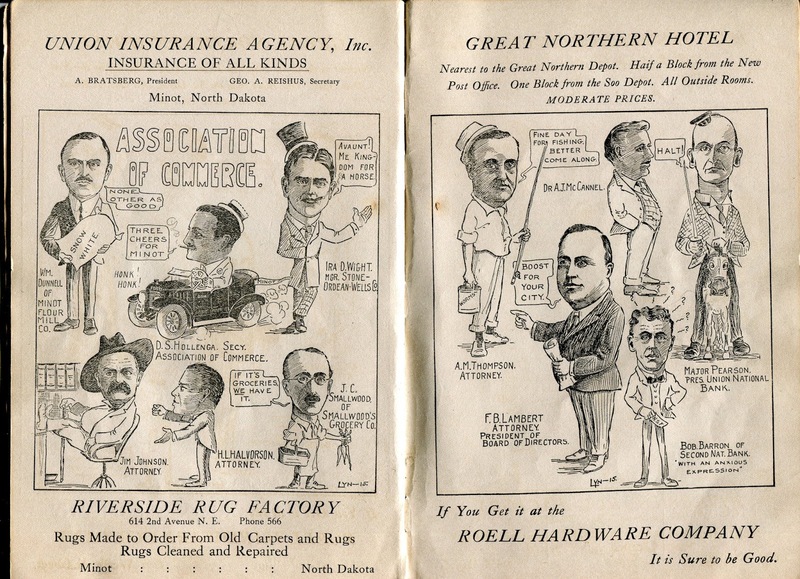 In 1906 the Minot Athletic Association was established mainly to promote Nelson’s fights. 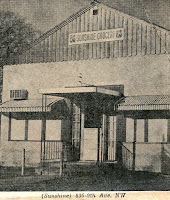 Early matches were at times help at the Minot Opera House on main Street. Boxing made a resurgence in the 1930’s. The Minot Boxing Club at that time was based out of the Parker Auditorium where they held their amateur matches. 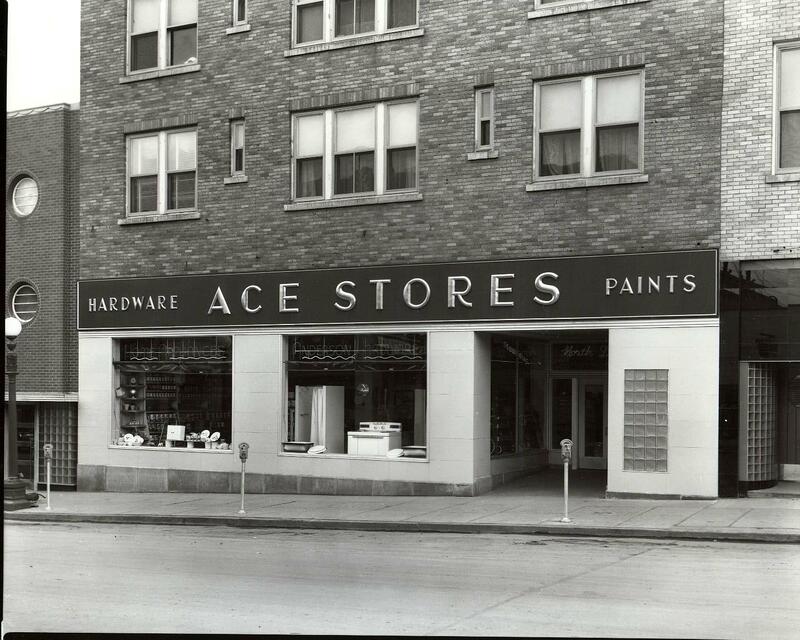 The Parker Auditorium was on 1st Avenue Southeast in Downtown Minot across from what is now the Blue Rider Bar. – The spirit of Minot is to “Boost” and this cheerful disposition has helped make her what she is today, “The Biggest Little City in the World.” From the earliest days when Minot was nothing but an Indian Trading Post the “Welcome” sign has been kept hanging, and with modern improvements, easy and comfortable transportation facilities, the eyes of thousands on enterprising people are forever turning towards the “Magic City” in anticipation of a BIG FUTURE. The climate is very agreeable. In the summer the days are warm and the nights cool and refreshing. The Mouse River offers excellent boating, canoeing, and bathing and the banks are lined with camping parties. Contrary to popular belief, the winters are not extremely severe. There is some cold weather but the days are bright and sunny, the air dry and bracing, and winter sports are indulged in by everybody. The death rate is one of the lowest in the United States. 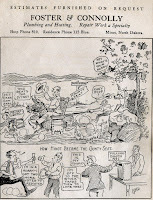 – Minot 1915 – Minot’s remarkable growth has been in the last few years. In 1900 there were scarcely 1200 people, but each succeeding year has been a steady, substantial increase until today there are more than 10,000 residents. While commercial progress has been wonderful, the social side of the city has not been neglected, and what used to be a baron stretch of prairie and useless hills has been transformed into a beautiful city with prosperous homes and well kept farms, a striking contrast to the early days of construction and a sample of Western Industry. 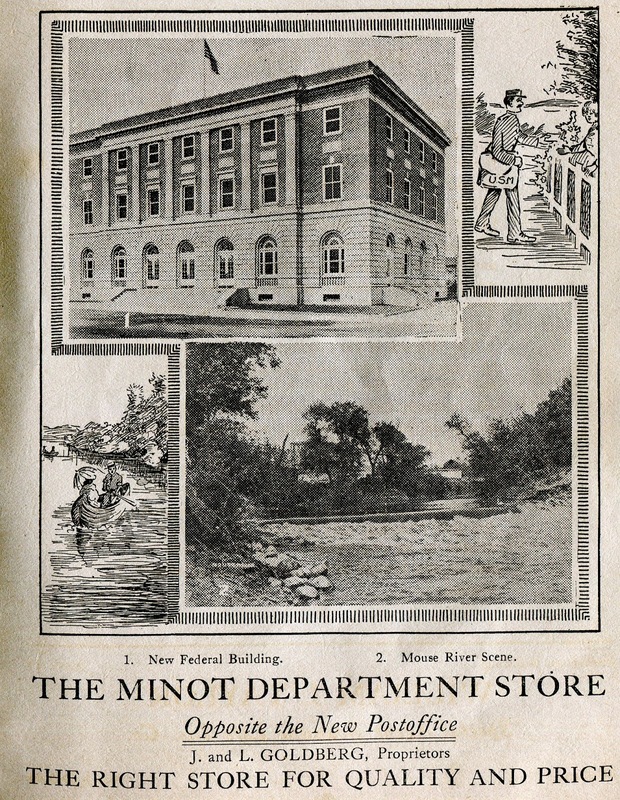 Three trunk lines of railway and branches, wholesale houses, elevators, flour mills, creameries, good hotels, churches and schools help make Minot what she is today, “The Magic City”. The wholesale houses have for many years formed the backbone of the business industries. The geographical situation of Minot makes her the natural distributing point for the vast and fertile fields of the great northwest. The first frame hotel was managed by Mrs. W.A. 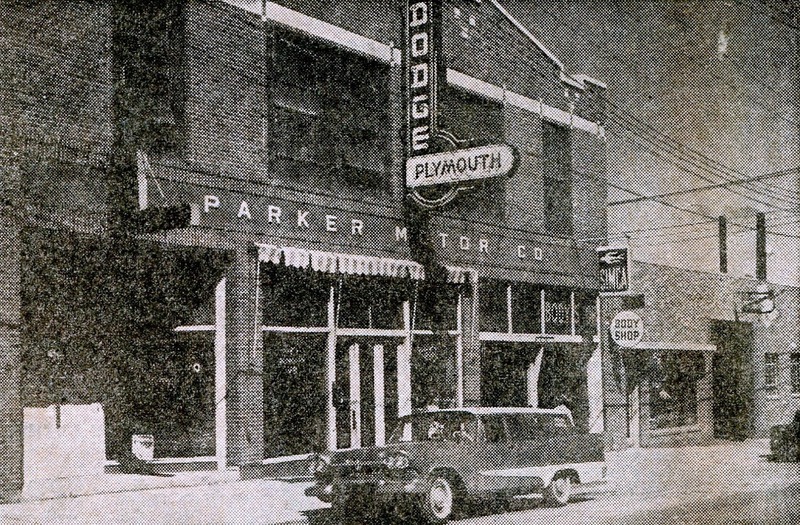 Parker, and was situated on the site now occupied by the Elks home. (the southwest corner of Main St and 2nd Ave.- now the Wells Fargo Building). Mrs. Parker is the mother of the present proprietor of the Leland Hotel. The Leland was originally started as a tent and now stands on some of the most valuable property in Minot. 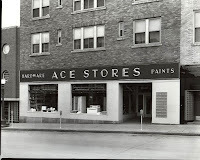 ( the corner of Main Street and Central Avenue – Now Artspace). The first brick building was erected by W.E. Mansfield, and used for a drug store. The first residence built is now (1915) situated opposite the Methodist Episcopal Church on the corner of First Street and Second Avenue (now the northwest corner of Minot High – Central Campus). There was quite a scare in Minot throughout 1889 on account of the Indian uprising in South Dakota, but no trouble was experienced in immediate vicinity. Where the Great Northern Depot now stands the Indians used to hold their pow-wows, including the famous Sun-dance, that has been prohibited by the government. 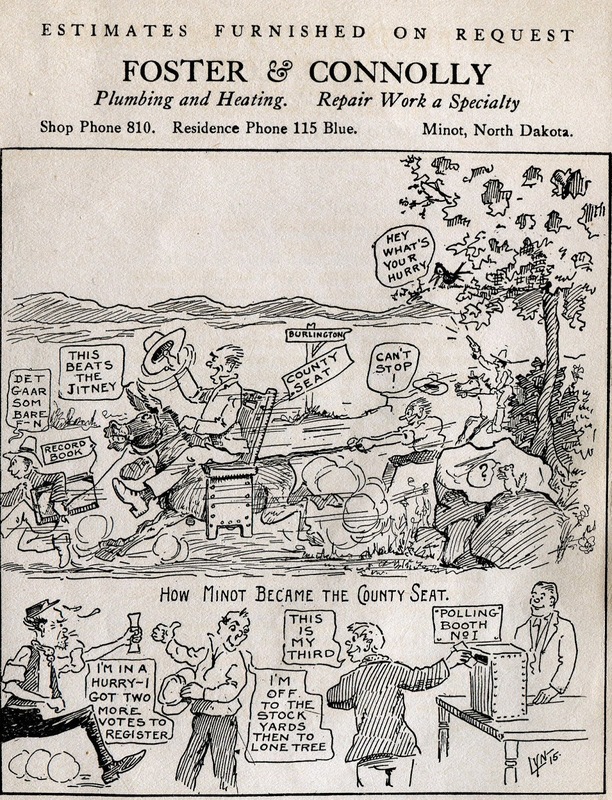 It was not until 1902 that prohibition reached the city, and although Minot has lost much of her western atmosphere, she still has the reputation of being a “Live Town”. 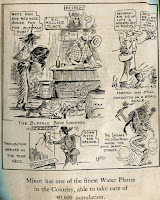 About this time the Buffalo Bone Industry began to flourish. Settlers traveled hundreds of miles over the prairies gathering the sun dried bones, so it was no unusual sight to see four or five hundred Red River carts lined up and down Main Street. 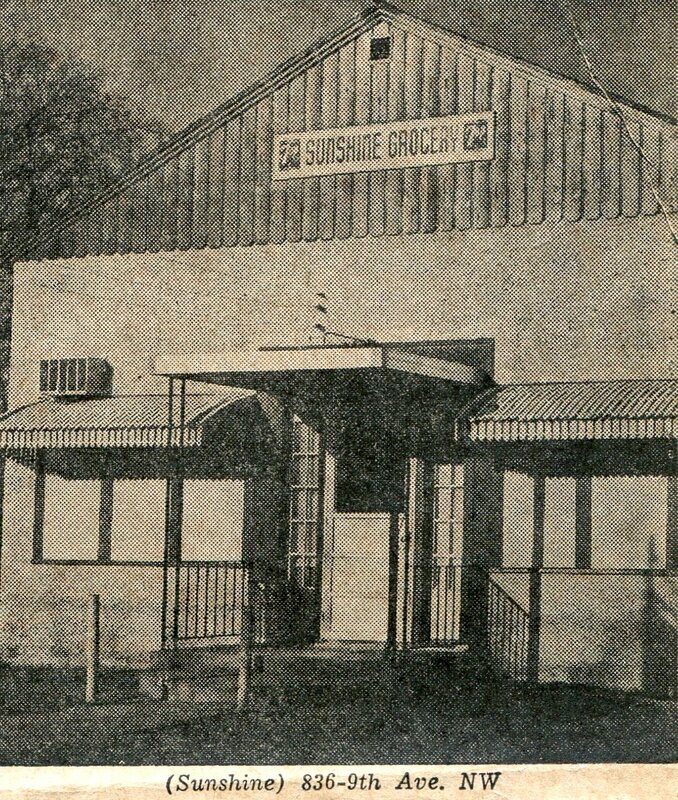 The bones were used for sugar refining purposes and the market price ranged from $4.00 up to $26.00 per ton. The Indians also contributed to the supply and they would bring valuable buffalo skins to exchange for whiskey. 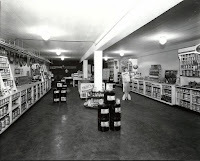 Some of our present citizens made their start in this business. Farming was still being done on a small scale. 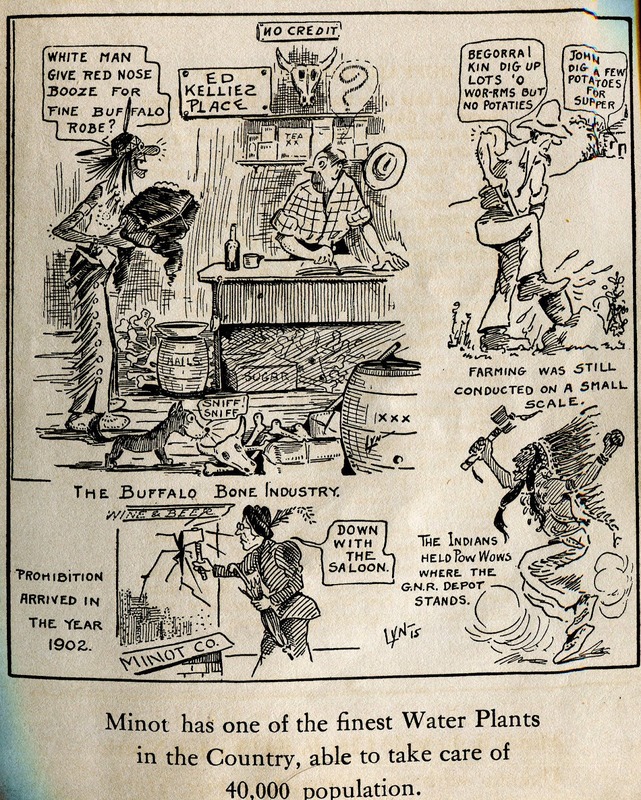 There were practically no cereal grains raised except for individual consumption and collecting buffalo bones offered a means of support that was almost a blessing to early pioneers. For a number of years after the Great Northern passed through the town of Minot was very quiet. 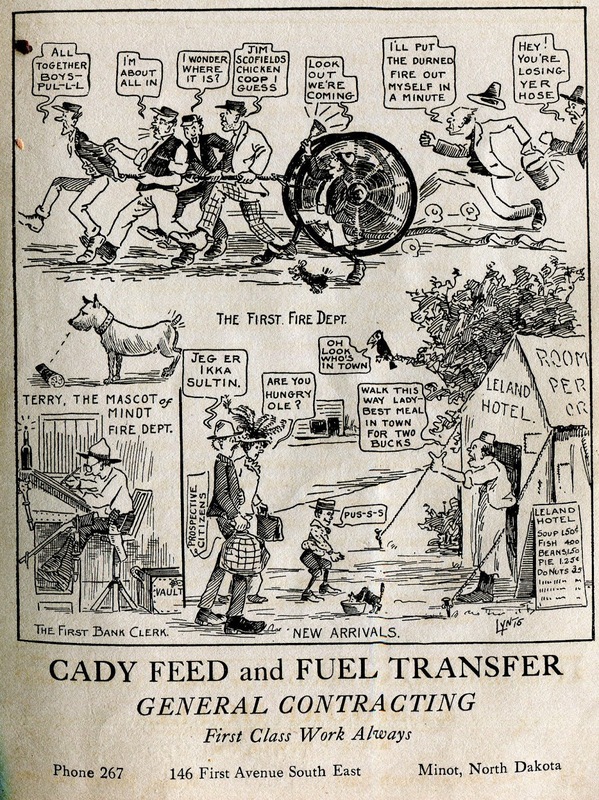 Times were dull and the citizens resorted to many strange pranks to pass the time. Mock trials were held, the prisoners were always found guilty and the penalty was usually cigars and refreshments for the entire crowd. 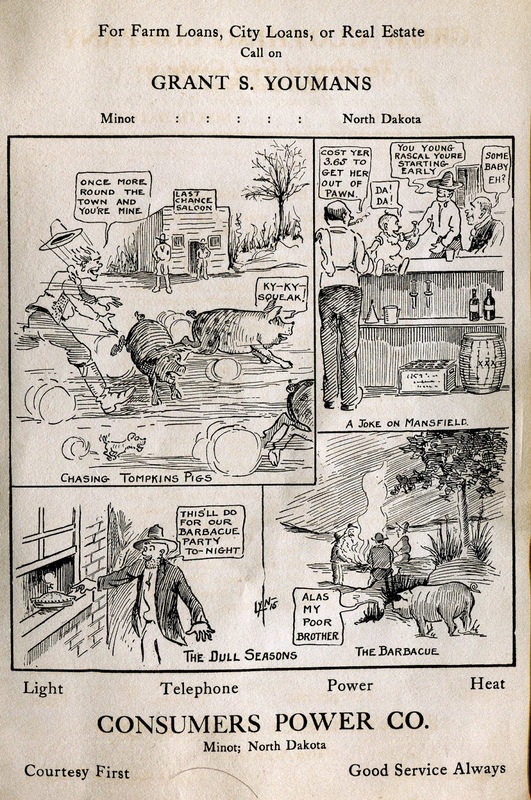 When the boys wanted a barbecue they would shake dice and the loser had to catch one of Tompkins pigs, kill it, and prepare it for the roast. Chasing the “Pig” is popular today, but it is of a somewhat different breed. If the needed a little money to buy whiskey they would appropriate anything that was lying around and peddle it over at the bar. One day, W.E. Mansfield missed the youngest member of his family. He searched everywhere without success, so the police department took up the mystery. 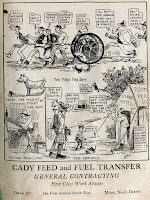 Imagine Mansfield’s surprise when he found the child had been peddled to a saloon-keeper for a round of drinks for the boys. He took the joke good naturedly and paid the bill before he could redeem his offspring. 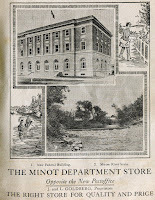 Thus the citizens managed to relieve the monotony of the dull period of Minot’s history. In 1886 the settlement was nothing but a assortment of tents and shacks. The construction of the Great Northern was going on and the town was crowded with people. These were some of the most exciting times recorded. Money was plentiful and everybody reaped a rich harvest. It was a banner day in the history of the settlement when the first train pulled into town. A few years later the Soo Line came through town and from that time the city has grown in leaps and bounds. The following year the Great Northern built more than 500 miles of road west of Minot. All material was shipped here and distributed to points as far west as Great Falls, Montana. Section houses were even built on flat cars and shipped out. 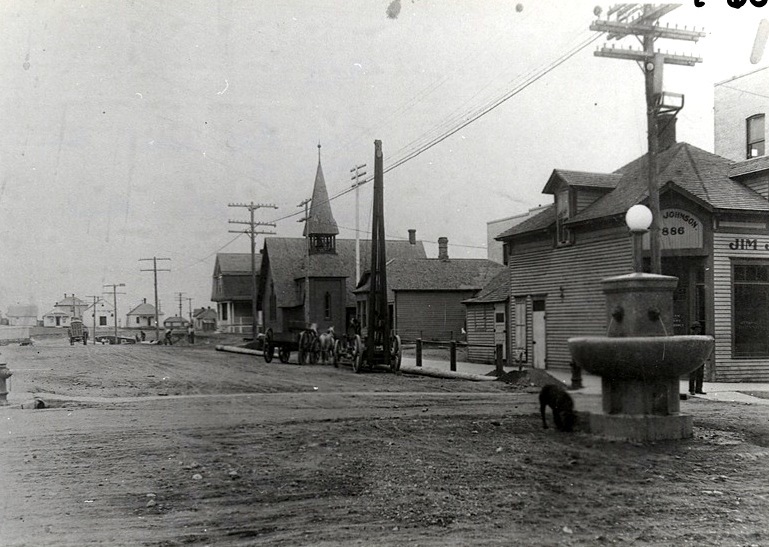 Minot was a typical town of the west with everything wide open. It was not until the year 1887 that the county seat was removed from Burlington and established in Minot. The fight between Minot and Burlington for the county seat is an interesting time in the history of Minot. About this time there were hundreds of railroad employees in the town. A committee of citizens traveled to Burlington and literally stole the records from the county seat. 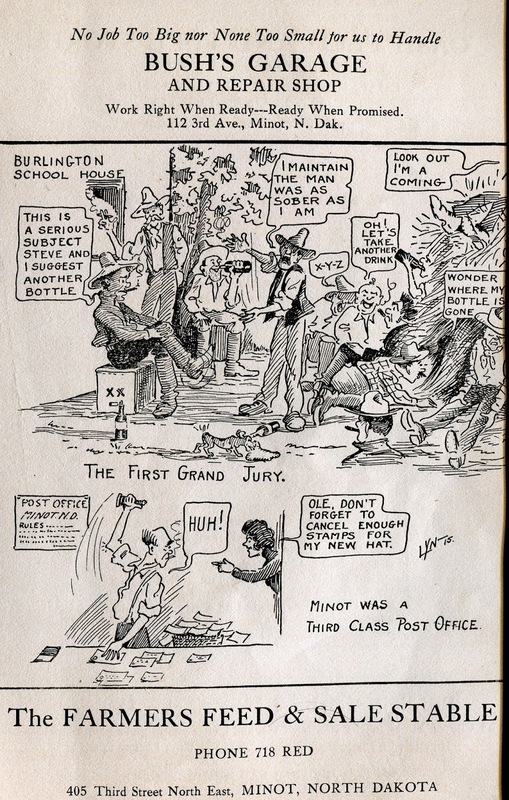 The Burlington men immediately proceeded to take out an injunction to prevent the Minot men from leaving town. While the necessary papers were being prepared the Minot men had started on their return trip home, taking the trail on the South side of the Mouse River. As soon as the papers were ready the Burlington men, who by this time had grown to an angry mob, gave chase. They made a fatal mistake and that mistake would cost them the county seat. They took the trail North of the Mouse River and in consequence failed to overtake the men from Minot. The case was taken up in the courts and voted upon. Pressure was brought to bear on the railroad employees and Minot polled a vote of 900 in a village of less than 500 souls. This proves that “Padding the Ballot Box” was not unknown in the early days. Thus Minot became the county seat and was incorporated the same year. …. 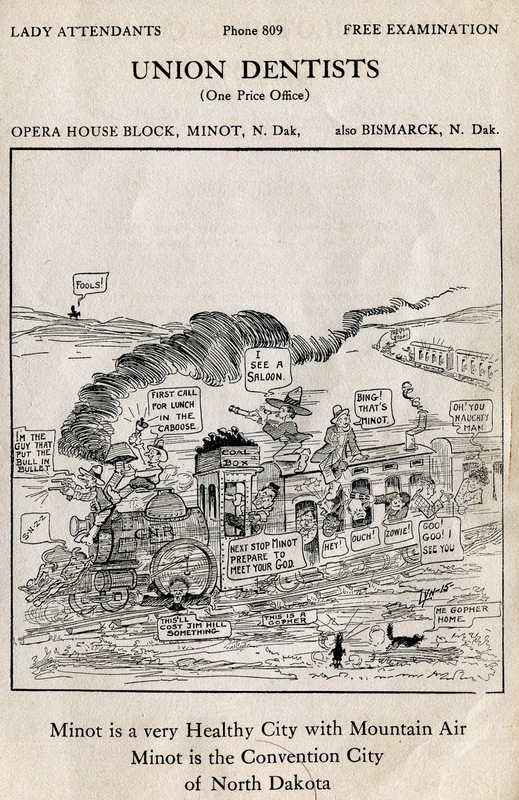 A side note (as depicted in the drawing), the votes of the men at a rather large railroad camp at Lone tree were included in the Minot count). The meeting of the first Grand Jury was held in a schoolhouse at Burlington. Judge Francis presided and Steve Whitbeck was appointed foreman of the jury. The trials were conducted in a rather careless manner. As each juryman arrived he deposited his whiskey bottle in a straw-stack behind the schoolhouse. The court opened and one by one, the prisoners ranging from cattle thieves to murderers were brought before the judge. “Are you guilty or not guilty?” asked the Judge. “Not Guilty,” replied the prisoner. “This court is adjourned for consultation,” said the Judge. “And to attend to the needs of nature,” added Steve. One by one the jury filed out to the straw-stack. The Judge grew tired of waiting for the jury to reach a decision, dismissed the prisoners, and joined the consultation himself. The first man to hold the seat of Mayor in Minot was James Scofield. 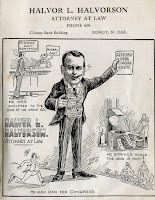 He was elected in the spring of 1887.